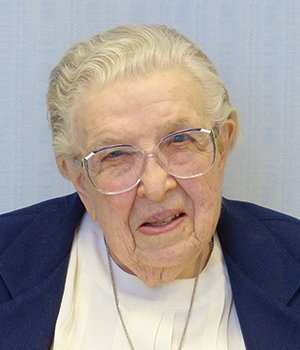 ​Read the memories shared at Sister Rose Virginia's funeral. 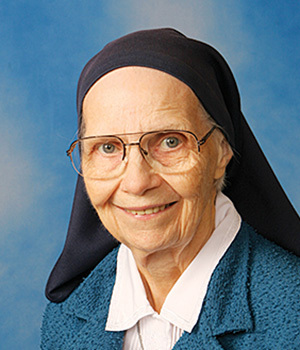 Word has been received of the death of Sister M. Rose Virginia (Burt), CSC, who died at 7:15 a.m. on April 12, 2019, in Saint Mary’s Convent, Notre Dame, Indiana. 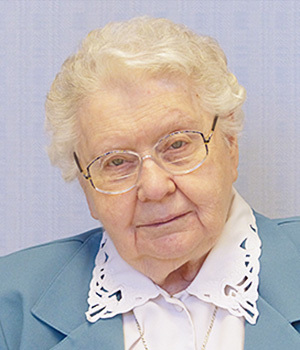 Sister M. Rose Virginia entered the Congregation from Los Angeles, California, on September 4, 1946. 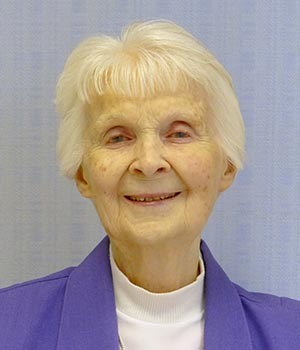 Her initial profession of vows took place on February 2, 1950. Sister M. Rose Virginia (Burt) was named for her mother who was born in Sonora, Mexico, Rose Virginia Lasalle. The Sisters of the Holy Cross have no record of how her father, Dr. Russell Ross Burt, an American physician and surgeon from Iowa and Nebraska, met her mother and raised their family in Los Angeles, California. Sister Rose Virginia did say that her father insisted that perfect Spanish be spoken at home. When Sister was born in San Diego, California, she was placed under the protection of the Blessed Mother by her parents and baptized Maria del Socorro Consuelo, Mary of Help and Comfort. In 1988 Sister wrote, “I was raised in a Mexican culture with many detours and bumps along the way and educated for 11 years by the Sisters of the Holy Cross at Saint Agnes School in the lively area of Los Angeles. 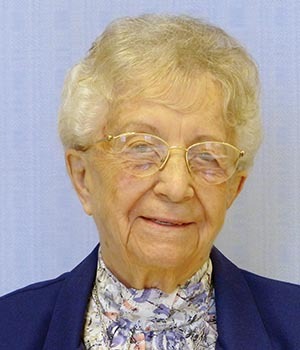 My life did not start out boring.” After high school, she spent a year as a bank clerk and inspector for the United States Department of the Navy, then applied at 20 years old to enter the convent. Sister Rose Virginia was attracted to ministries of help and comfort, offering aid and succor to the sick and the poor as a Sister of the Holy Cross. 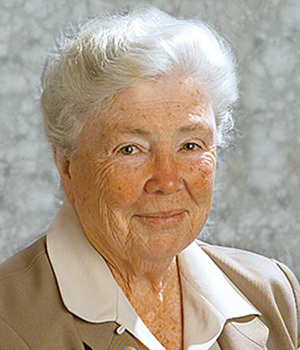 In 1959 she was licensed as a registered nurse in Idaho, having been trained at Saint Alphonsus Hospital School of Nursing in Boise. By 1966 she earned a Bachelor of Science in nursing with a minor in psychiatric nursing from Mount Saint Mary’s College, Los Angeles. She was licensed as a California public health nurse in 1971. 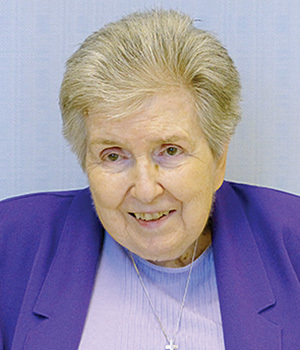 Sister Rose Virginia initially served in medical centers sponsored by the Congregation from 1949 to 1971 at Salt Lake City, Utah; Boise, Idaho; San Fernando, California; and Fresno, California. “Because of my personal need to grow further as an individual and to own my Hispanic heritage, I asked to work with Hispanics and the poor. Consequently, I found my way to McAllen, Texas, where I began in a migrant clinic and labor camp, then entered the pastoral care ministry at the request of the local bishop.” From 1971 to 1997 Sister served in pastoral care and chaplaincy at hospitals in McAllen, Brownsville, and San Antonio, Texas, then at Tucson, Arizona. At 56 years old she briefly left the Rio Grande Valley for Chimbote, Peru, where she served with other Sisters of the Holy Cross from 1982 to 1985. In applying for a missionary assignment abroad she wrote, “I would have to climb a mountain at my own pace—but I would get to the top! The poor have taught me to share Christ and know Him in a new and freeing way… I know I have quite a few miles left in me.” While in Chimbote she taught basic first aid to the poor in the mountain community. With quite a few miles left in her, Sister Rose Virginia resumed her pastoral care ministry stateside until 1997. 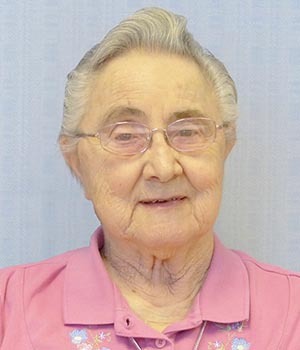 Her years at Saint Catherine by the Sea, in Ventura, California, were less intense, allowing her to nurse members of her own community from 1997 until she retired there in 2004. Poor health brought her to Saint Mary’s Convent, Notre Dame, Indiana, where she died on the Friday before Palm Sunday. 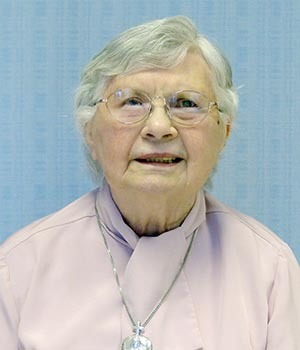 Sister Rose Virginia’s faith was in “the church of the common people.” She had been a help and comfort to them, and they had done the same for her. Hosanna and Alleluia! May she now break bread with God’s people in the heavenly fiesta without end. Ven, Señor Jesús!